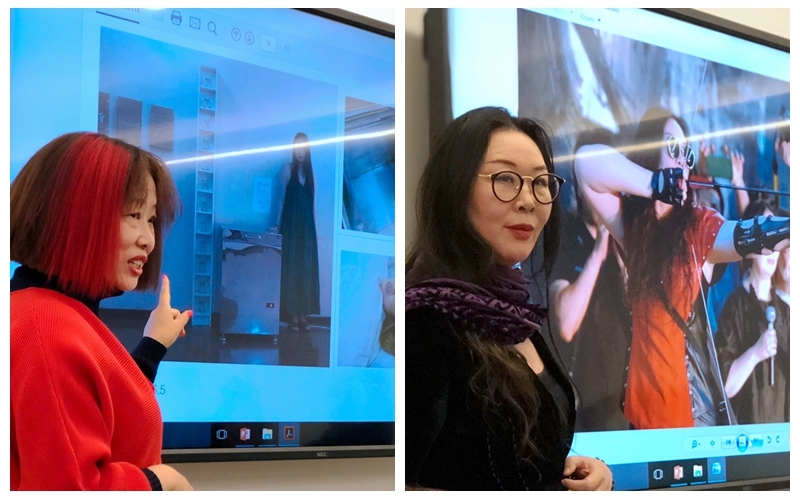 Two top contemporary female artists from China, Xiao Lu (肖鲁) and Feng Ling(枫翎), visited ACIAC on 23 May, 2018, one day before their Sworn Sisters exhibition opened at Vermilion Gallery in Sydney. They came with their curator, Dr Geoff Raby. Dr Raby is an economist and diplomat. He served as Australian ambassador to the People’s Republic of China from 2007 to 2011. He is now Chairman CEO of Geoff Raby & Associates, and art curator. He is also Chair of the Institute’s Advisory Board. 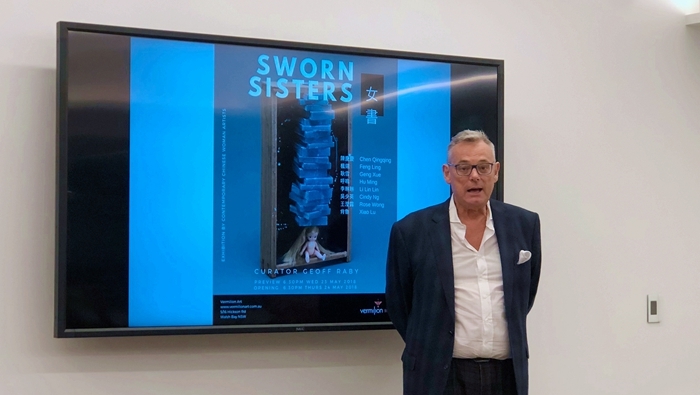 He introduced the artists to the audience during the workshop, and spoke about the group of artists to be exhibited at the Sworn Sisters exhibition. He welcomed the audience to the opening of their exhibition. Then the two artists were invited to speak about themselves and their installation artworks. Xiao Lu and Feng Ling introduced their career and some of their recent works by showing them through some stunning videos. Xiao Lu was born in Hangzhou, China, and she had a degree from the Department of Fine Arts at Zhejiang Fine Arts College (currently known as Chinese Fine Arts College). She made her reputation with an installation artwork called “Dialogue” created in 1989. During the workshop, she spoke about some of her recent works that show Chinese women struggling against social oppression (“Polar”, 2016). Feng Ling was born in Heilongjiang, China. She had her bachelor’s degree from Harbin Art College. She has had exhibitions in China, Italy, Switzerland, USA. She spoke about a work (“The Gift of the Future”, 2014), in which, by showing herself shooting an arrow against a mirror domino, she communicates her belief in the empowerment of women in the new era of technology: any seemingly insignificant woman could project her energy towards the world and exert an impact on it. 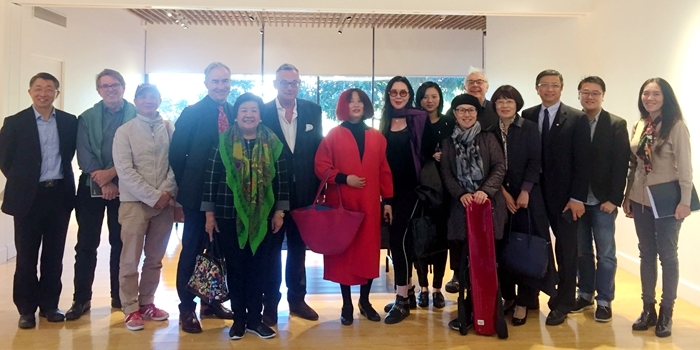 A number of artists including David Cubby, Jayanto Damanik Tan, Tony Twigg, Tianli Zu, Bingbing Chen, and Liu Ying attended the workshop. Professor Peter Hutchings, and media representative Ms. Shelan Tao also joined the discussions.